The advantages of rotating tracked dumpers all stem from the fact that you can easily move the skip into the correct dumping position, without having to manoeuvre the whole vehicle into a particular orientation. This can make a rotating dumper much easier to use in tight spaces, but it can also have some less obvious benefits which are worth considering if you are thinking about buying a new tracked dumper. A swivel tracked dumper can actually be safer to have on-site than a standard dumper. The risk of an accident is highest when vehicles are turning or reversing, so anything that reduces the time spent in these kinds of manoeuvres can improve site safety. The rotating dumper will also be easier to operate and your drivers will spend more time looking forward and less time working in reverse. Not needing to turn the vehicle around as much can make rotating tracked dumpers easier to handle, so a swivel dumper can be a good option if you want a vehicle that will be simpler for your operators to use. You will also be reducing the amount of time spent moving the vehicle into position or waiting for turning vehicles to get out of the way, so you can make jobs go faster and boost productivity. Avoiding the need to keep turning the vehicle over the same ground can also help to reduce the damage to the surface. This can be particularly important when you are working on a soft or delicate surface. 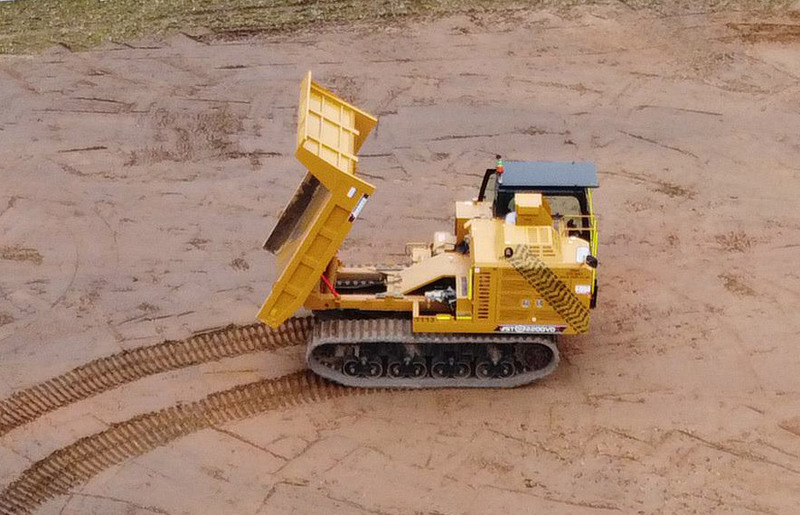 Using rotating tracked dumpers can also help to reduce the impact your heavy duty vehicles are having on an environmentally sensitive site. It can help you to protect the vegetation and reduce the disturbance you are causing for local people and wildlife. NTD National Tracked Dumper Hire Ltd.
? Copyright 2016 National Tracked Dumper Hire Ltd.